Michelle Kenney: When I was a freshman in college, I told my advisor that I wanted to write crossword puzzles for money someday, only to have him show me the door and tell me to come back when I grew up. After I turned 54 last year, I woke up one morning with a now-or-never feeling that had me reaching for a dictionary and my old thesaurus. I spent a week in my pajamas, surrounded by a growing heap of crumpled papers, as I struggled to design a puzzle that didn't rely on a two-toed sloth or a bitter vetch for that final, impossible bit of fill. I finally decided that I needed some help getting this project off the ground, and I was lucky enough to meet Jeff Chen, who helped me refine the INTERMISSION theme. We knew that we wanted to "interrupt" the names of Broadway shows, but finding themers proved to be much more difficult than I anticipated. 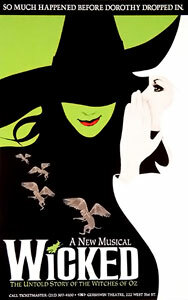 Almost every time I thought I had one — WICKERBACKED for Wicked, or FACETIME for Fame, for example — something wouldn't work; Jeff's wife insisted (correctly) that the correct word is wicker back, and an Internet search revealed that the title of Fame is really Fame: The Musical. I didn't count the number of emails we sent to each other, but I wouldn't be surprised if there were over one hundred in the exchange. Writing this puzzle is one of the craziest and most maddening things I have ever done (including the time I took a taxi with a live crocodile) but ultimately, it was very gratifying when it was finally finished. I enjoy working with new constructors, and I really enjoy it when they're like Michelle. Open to feedback, never quitting, willing to work as hard as it takes to create a product that solvers will hopefully enjoy conquering. It was a pleasure to go back and forth with her. She had pinged me with a very different idea, and it was neat to see her take my feedback about brainstorming … and actually do some brainstorming! A few ideas later, she hit on something that seemed interesting — hidden plays / musicals, i.e. HAIR in BRITISH AIRWAYS, with INTERMISSION as a revealer. It didn't seem quite right to me, but switching it so the play had an "intermission" in the middle felt like it could have legs. Michelle started a list of possibilities, and we tried to find as many long musicals that could be broken up by short intermissions, like a real musical. HAWAIIAN AIR has a looooong intermission, while the GREEK VASE much more reflects the actual relative durations of a musical's first half, intermission, and second half. We debated WISECRACKED vs. WINGBACKED — the latter felt very close to a real thing, but WINGBACK seemed much more in the language. I suggested WII WHACKED, i.e. what happens to a TV screen when a kid wildly flings a Wiimote at it. Michelle politely said that might be a little … ahem … esoteric. Good call, looking back on it! It is incredible that anyone ever listens to me. I laid out a grid skeleton for Michelle, testing to make sure it wouldn't cause problems, and Michelle took off from there. I coached her a little on what solvers might hate and love, and she did a fantastic job of iterating over 20 different versions to come up with what you see. Average word length: 5.19, Scrabble score: 308, Scrabble average: 1.54.